8-Trac is used to electrify panels and desking applications. 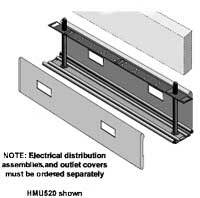 The system accommodates panel applications from 2" to 3 1/2" thick with harnesses from 12" to 180" in length. All power is 100% tested to ensure the highest quality and reliability. 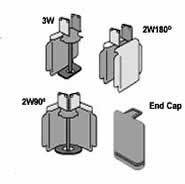 8-Trac is UL Recognized (UL Standard 1286) and UL Listed (UL 183). 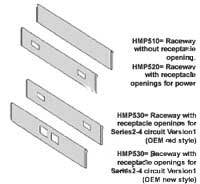 Use to bring building power source to panel electrical distribution assemblies. Slide into face power block. Select circuit a, b, or c for general purpose use. Use circuit d for isolated dedicated circuit.